Here is a brief look at Press TV newsroom's headlines from 1800 GMT, February 13, 2019 to 0800 GMT, February 14, 2019. 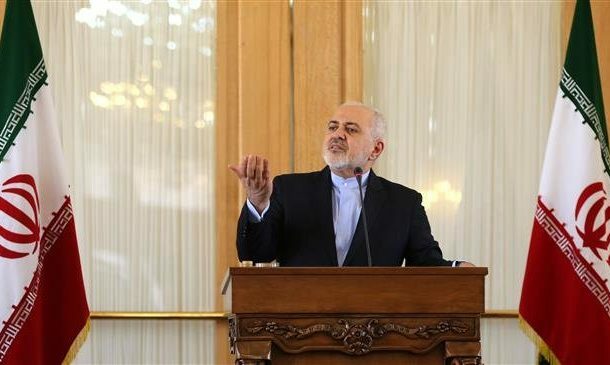 Iran’s foreign minister says it’s not a coincidence that a terror attack in the country’s southeast happens on the same day that an anti-Iran summit begins in the Polish capital. In a tweet, Mohammad Javad Zarif said supporters of such terror attacks have cheered the Warsaw meeting which he described as a circus. Separately, the Iranian foreign ministry spokesman condemned the terrorist attack as inhumane. Bahram Qassemi said the Iranian military and intelligence forces will avenge the blood of those who were killed in the attack. Iran’s first vice president Es'haq Jahangiri also says the terror attack will make Iranians more determined in their fight against terrorism. The Leader of Iran’s Islamic Revolution says holding talks with the US will bear no fruit. Ayatollah Seyyed Ali Khamenei made the remarks in a statement marking the 40th anniversary of the victory of the Islamic Revolution. In the statement, Ayatollah Khamenei praised Iran’s growing influence in the international arena and its technological advancements in the face of pressures from adversaries. The US House of Representatives has overwhelmingly approved a resolution to end Washington’s support for the Saudi war in Yemen. The vote would not be enough, however, to overcome Trump's promised veto of the war powers resolution. The Senate is also expected to vote on the resolution within 30 days. The lawmakers reintroduced the resolution two weeks ago as a way to send a strong message to Riyadh about the humanitarian disaster in Yemen and condemn the killing of Saudi journalist Jamal Khashoggi. The US has supported the Saudi-led campaign against Yemen's Ansarullah movement. Iran’s president has condemned Wednesday’s deadly attack claimed by the Jaish al-Adl terror group in the southeast of the country. Rouhani said the United States and Zionism are the root causes of terrorism in the Middle East. He added, some oil-rich countries in the region provide financial support to terrorists, too. The president noted that terror acts will not weaken the will of Iranians, and they will not bow to foreign powers in the face of such incidents. He also urged neighboring countries not to allow terrorists to use their territories to launch attacks, or Iran will exercise its right to tackle those menaces. At least 27 people were killed in the terror attack in Sistan and Baluchistan province. Several officials and entities, including Foreign Minister Mohammad Javad Zarif and the IRGC, have denounced the attack. Iran’s foreign minister has dismissed as illusions the comments from the Israeli prime minister’s office on forming an alliance with Arab countries for war with Iran. In a twitter post, Mohammad Javad Zarif says the world and those attending the anti-Iran conference in Poland now know about Benjamin Netanyahu’s illusions. The top Iranian diplomat was responding to a tweet by Netanyahu’s office. The Israeli tweet described the US-sponsored Warsaw summit as an open meeting with leading Arab countries to advance common interests of war with Iran. The tweet was later replaced with another one that changed it from "war with Iran" to "combating Iran". Dubbing the meeting the "Warsaw Circus", Zarif said earlier, it is not a coincidence that a terror attack in the country’s southeast happens on the very day an anti-Iran summit begins in the Polish capital.